Hi guys! I actually had this yesterday, was in drafts but forgot that I hadnt published! Oops! 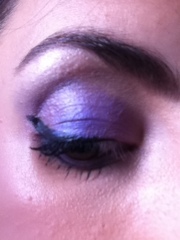 Right so yesterday I decided to do a purple haze look. 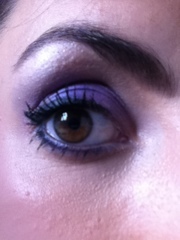 I used my Accessorize palette, becoming a regular isnt it, I used a the top purple shade for my base all over and as under my lash line, I then used the metallic purple in my crease and edge. A flick of gel liner and mascara completed the look! 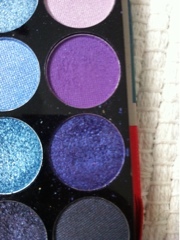 Very cute, love purple eyeshadow!